Why to buy a high-end smartphone when Intex is giving in affordable price. 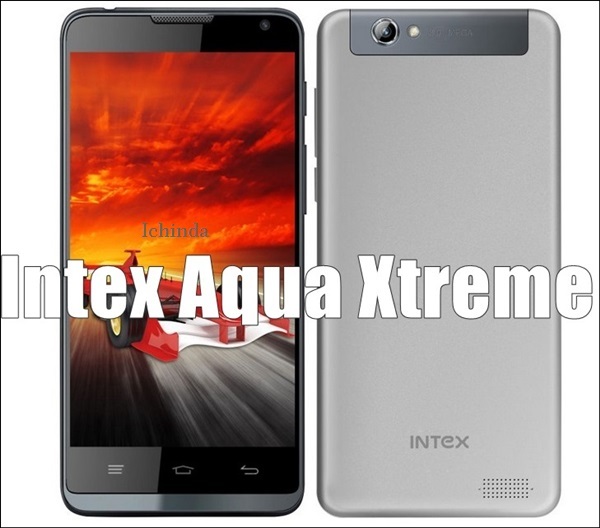 I would like to introduce you the all new Intex Aqua Xtreme the cheapest alternative for high-end smartphones. New Aqua Xtreme with Octa-core, Android kikat, 5”-inch HD display and 13-MP camera launched in Indian priced at Rs. 11,490 in Red, Black and Grey colour option. It will take on Xolo, Samsung and Micromax in mid-range smartphone market. The all new Intex Aqua Xtreme is 6.99mm thick supports 3G, GPRS/ EDGE, Wi-Fi, Micro-USB, Bluetooth and FM Radio comes with a Dual-SIM(GSM+GSM) with Dual-SIM flexibility comes with a 5-inch HD IPS display with resolution (720×1280 pixels) and scratch-free Dragontrail glass protection perfect offers crystal clear HD viewing perfect for watching movies and video with friend. While fastest 1.7GHz true octa-core processor with 2GB of RAM take your multi-tasking to next level and latest Android 4.4 kitkat(Upgradable to Android 5.5 Lollipop) OS allows you to enjoy your favourite apps from Google play store while 32GB in-built memory and 32GB expendable memory allows you to store your favourite songs, video, apps and games. Intex Aqua Xtreme is the best camera smartphone in affordable sporting a huge 13-mp camera with LED flash allows you take photo in low light condition and 5-MP front camera perfect for video calling and clicking selfies. Aqua Xtreme also packed with a 2000 mAh battery with enhanced battery life. Rivals Micromax Canvas Selfie, Canvas Nitro 311, Xolo Omega 5.5 and HTC 820s. At last Few honest word, that all new Intex AQUA Xtreme is the best alternative for high-end smartphones. What you think? Please be open to give your view. What is theactual RAM size? Somewhere it is written 1GB and somewhere it is written 2GB. Why?